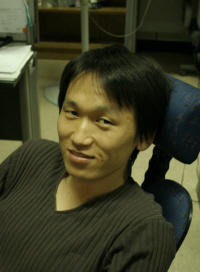 03.2004 ~ 08.2011: Ph.D. student in School of Computer Science and Engineering, Seoul Nat'l Univ. Korea. 03.1998 ~ 02.2003: B.S. student in School of Computer Science and Engineering, Seoul Nat'l Univ. Korea. Choonki Jang, Jaejin Lee, Bernhard Egger, Soojung Ryu. Automatic Code Overlay Generation and Partially Redundant Code Fetch Elimination, ACM Transaction of Architecture and Code Optimization, Vol. 9, No. 2, Article 10, June 2012. Choonki Jang, Jun Lee, Sangmin Seo, and Jaejin Lee. An Automatic Code Overlaying Technique for Multicores with Explicitly-Managed Memory Hierarchies, Proceedings of the 2012 International Symposium on Code Generation and Optimization, pp -, San Jose, California, USA, March 2012. Seungkyun Kim, Kiwon Kwon, Chihun Kim, Choonki Jang, Jaejin Lee, and Sang Lyul Min. Demand Paging Technique for Flash Memory Using Compiler Post-pass Optimizations, ACM Transactions on Embedded Computing Systems, vol. 10, No. 4, Article 40, November 2011. Jungho Park, Choonki Jang, and Jaejin Lee. A Software-Managed Coherent Memory Architecture for Manycores, Student research competition (SRC) poster presentation in Proceedings of the 20th ACM/IEEE/IFIP International Conference on Parallel Architecture and Compilation Techniques (PACT '11), pp. -, Galveston Island, Texas, USA, October 2011. Choonki Jang. SRC: An Automatic Code Overlaying Technique for Multicores with Explicitly-Managed Memory Hierarchies, Student research competition (SRC) poster presentation in Proceedings of the 25th ACM International Conference on Supercomputing (ICS '11), pp. 377 - 377, Tucson, Arizona, USA, June 2011. Bernhard Egger, Seungkyun Kim, Choonki Jang, Jaejin Lee, Sang Lyul Min, and Heonshik Shin. Scratchpad Memory Management Techniques for Code in Embedded Systems without an MMU, IEEE Transactions on Computers, Vol. 59, No. 8, pp. 1047 - 1062, August 2010. Motor bike, especially V-twin engines such as Ducati superbike series, Honda VTR series, and Aprillia RSV series. Motor bike race. Actually, I have participated in Korea Scooter Race Championship (KSRC) during 2006 ~ 2008.